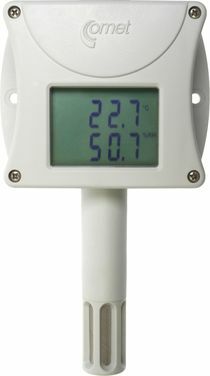 Large dual line LCD for simultaneous display of temperature, relative humidity or other calculated humidity interpretation. Transmitter is designed for use in non-aggressive environment. Degrees Celsius and Fahrenheit are user selectable.